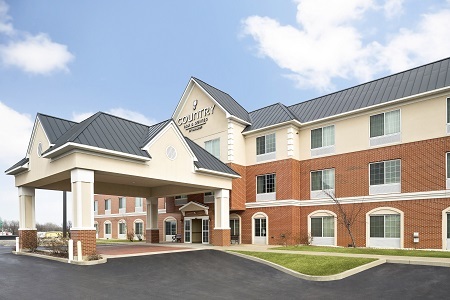 Located at Exit 225 just off I-70, the Country Inn & Suites® by Radisson, St. Peters, MO offers easy access to the St. Louis airport and to historic St. Charles. 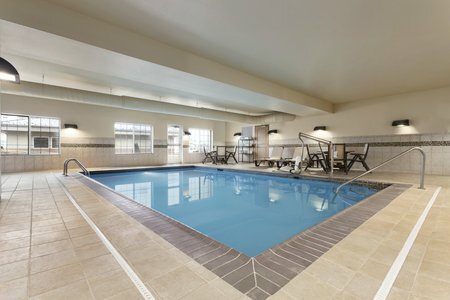 Dive into our heated indoor pool, or melt away stress in the hot tub. 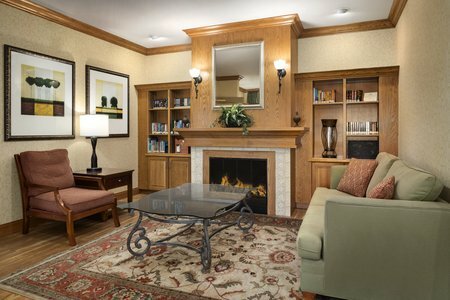 Our free, hot breakfast prepares you for a day of shopping at St. Louis Outlet Mall, hiking at Frontier Park or touring the Lewis & Clark Boat House and Museum. Six Flags St. Louis, just 40 minutes away, makes a great day trip, and you can swim, run or ice skate at the Rec-Plex, only two miles away. Please note: The pool and hot tub are closed for repairs and will reopen on April 30, 2019. We apologize for any inconvenience. Celebrating a special occasion? Book our Whirlpool Suite to enjoy a king bed and a two-person whirlpool tub. Save money on your morning meal with our complimentary, hot breakfast, featuring waffles, pastries, cereals and hot items that rotate daily. If you’re in a hurry, pick up a piece of fresh fruit on your way out the door. You won’t have to venture far for lunch or dinner with numerous restaurants within walking distance, including Steak ‘n Shake and IHOP. Try the square pizza at Saullo’s, a St. Charles icon since 1952. St. Peters Rec-Plex – Stay active or get soaked at the Rec-Plex, a recreation and fitness facility that offers a water park, a swimming pool, an ice-skating rink and a variety of sports activities. You can run laps, play basketball or practice your dive just two miles from the hotel. Frontier Park – Pack a picnic lunch and hike the trails at this 16-acre park, located about 10 minutes from the hotel. Take time to admire and photograph the 15-foot statue of Lewis and Clark surrounded by wildflowers and lush foliage. St. Louis Outlet Mall – Stay within 15 minutes of the name-brand retailers at these outlet shops. Shop at Hot Topic, Bath & Body Works and The Children’s Place before catching a movie at the IMAX theater. Traveling with a sports team, a tour group or business colleagues? 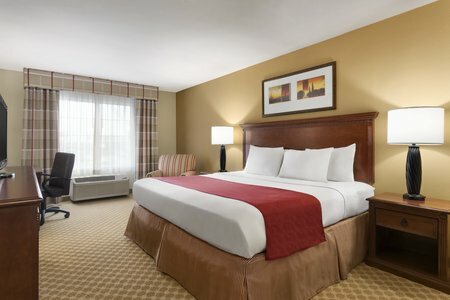 Enjoy group rates and room blocks at our hotel, conveniently located just 20 minutes from St. Louis Lambert International Airport (STL). 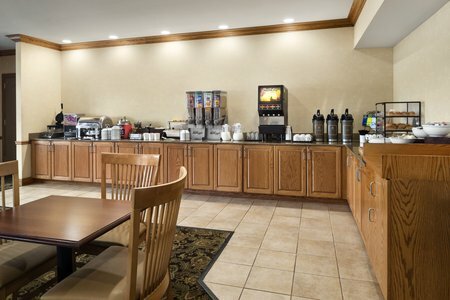 You can also reserve our breakfast area for group meetings.